Manchester City midfielder Yaya Toure admitted on Tuesday to being over the legal limit following a drink-driving conviction. The footballer, who is a teetotaler, said he has no explanation for the reading as he does not consume alcohol because of his religious beliefs. 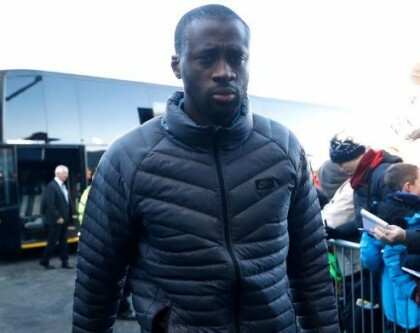 Toure was arrested in London on Nov. 28 and was given an 18-month ban and an income-related fine of 54,000 pounds ($68,600) at Barkingside Magistrates’ Court on Monday. The 33-year-old Ivorian issued a statement on his personal website saying he had not intentionally drunk alcohol but shed no light on how he gave an illegal reading. “I have always refused alcohol. Anyone who knows me or follows football will have seen me refuse champagne for Man of the Match performances because of my commitment to my religion,” Toure said, adding that he decided not to challenge the charge because he was above the allowed limit. “However, it was important to me that I told the court that I had not intentionally consumed alcohol. The judge in his sentencing remarks accepted that I had not been intentionally drinking,” Toure said. Toure has had a troubled year at City after a fallout with coach Pep Guardiola left him on the sidelines for three months. He returned to the first team on Nov. 19, scoring both goals in a 2-1 win at Crystal Palace, and played in a 2-1 victory at Burnley two days before his arrest. Yaya Touré has been a regular member of the Ivory Coast national team since his debut in 2004. In 2014, he was named captain of the team after the retirement of Didier Drogba. In the same year, he won his 100th international cap in a 0–0 draw with Cameroon.